Knights of Badassdom is 2013 comedy horror film. It stars Ryan Kwanten (best known from True Blood), Steve Zahn, and Peter Dinklage as three best friends with a passion for live action role-playing games. They go on a weekend-long medieval LARP in the woods, but accidently end up summoning a succubus that goes on a murderous rampage. If that sounds awesome, that’s because it is. Any nerd would love it. This movie was not successful at the box office. It hardly made any money. It only made $123,854 in its initial run. Baby Geniuses 2 made $9,448,644 for comparison. 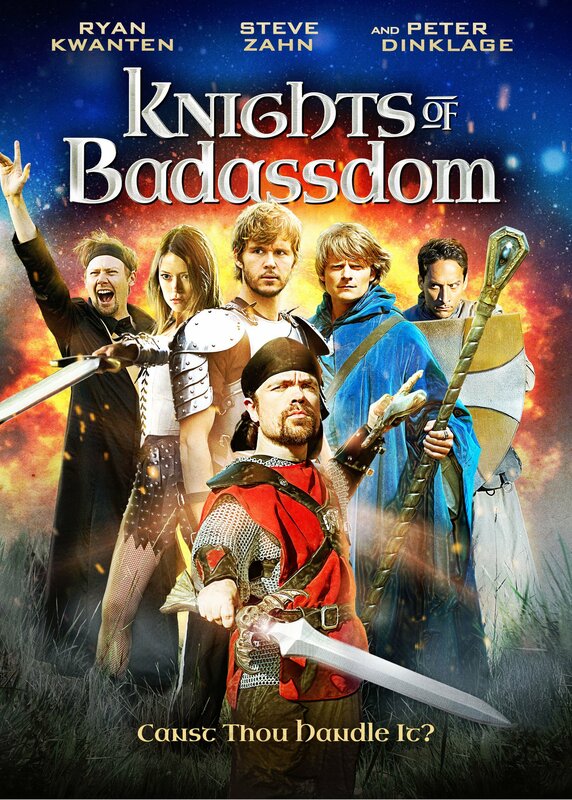 Knights of Badassdom is a much better movie, but it didn’t get any advertising or respect. I only know about it because I saw it on Netflix. I wouldn’t have watched it, but my friend was insistent that I check it out sometime. Today was that sometime. And I was pleasantly surprised at how good it is. The film has heart. The characters are funny, wacky, and still manage to be relatable. Peter Dinklage’s character is a great example of that. He’s a little person but that has no bearing on the plot whatsoever. There are no midget jokes or offensive sight gags. He’s just one of the main characters and he happens to be short. They don’t talk about it and they don’t exploit it. There are quite a few actors that you recognize, which is kind of cool considering the lack of budget the film had. That means that Summer Glau, Danny Pudi, and Brian Posehn wanted to do the movie because they wanted to be apart of it. It’s not a great movie, but it’s solid and better than most of the crap you see in theaters today. Add it to your Netflix queue and watch it the next time you can’t decide what to watch.